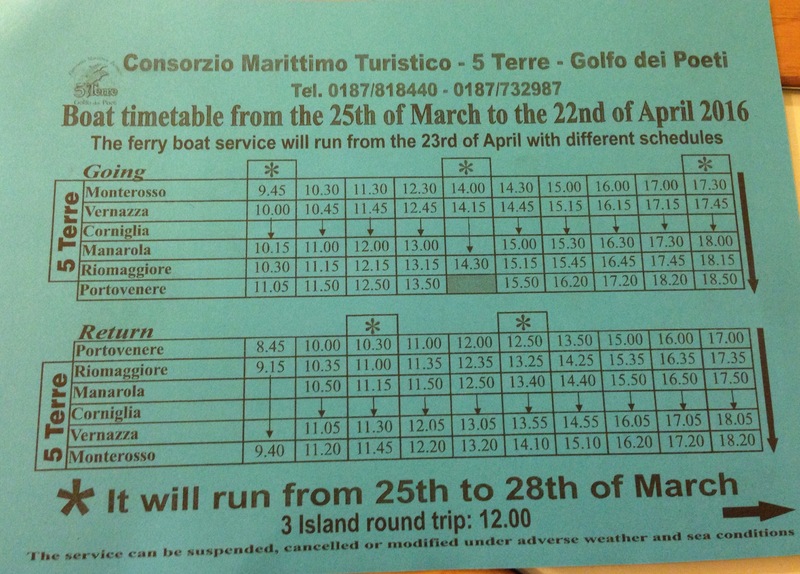 The Cinque Terre ferries will start running on March 25th, kicking off the 2016 touristic season. The schedule will be valid until April 22nd, 2016. Thanks for the blog. 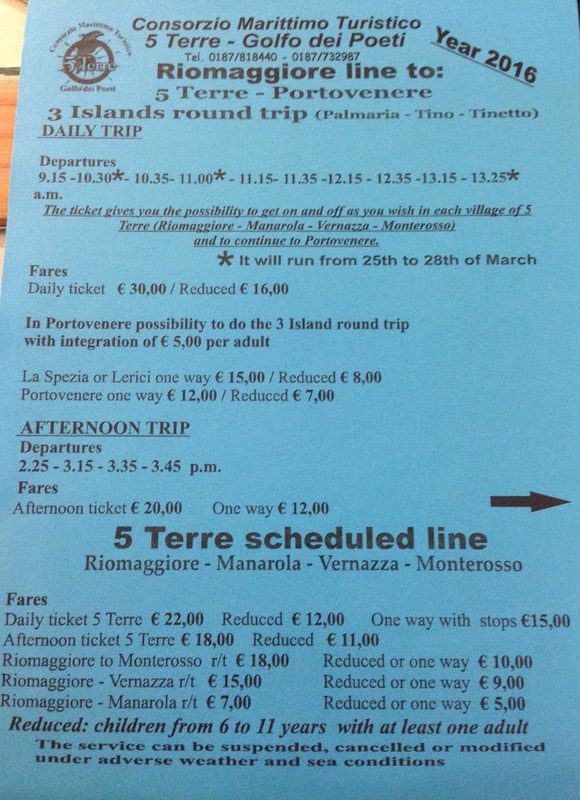 I am travelling (day trip only) from Milan to Cinque Terre in June this year. I was thinking about catching the train to Riomaggiore, taking a stroll around there and then catching a boat to Vernazza. How long/hard is the walk from Vernazza to Monterosso? I am travelling (day trip) from Milan to the Cinque Terre in June. I thought it would be efficient to catch a train to Riomaggiore, explore that town,then ferry to Vernazza. How long/hard is the walk from Vernazza to Monterosso? Do you recommend anything in particular for a day trip to the area? Our mobility is a bit limited. Wow… you are going to be exhausted if you are day tripping from Milan! The train ride will be approx. 3 1/2 hours each way (so 7 hours of trains in just one day!). The hike from Vernazza to Monterosso (or vice-versa) is beautiful but also the most difficult of the coastal trail. I would allot 2 hours for that section (plus a little more if you plan to go at a slow pace and stop for photos, etc.). I hope this info. helps!